For every hundred people who lament the state of our environment, only one will take it upon him- or her-self to actually do something about it. The problems involved often seem so large and complicated, it’s hard to believe one individual can have any influence. But if you’re serious about conserving sharks and their aquatic habitats, there’s every reason to believe you can be one of the few whose actions and example make a meaningful difference. You have much more power to affect real, meaningful change in our world than you may have been led to believe. The fact is, one informed, well-organized, and dedicated individual can counteract the collective lack-of-effort of thousands of apathetic slackers and do-nothings. That’s real power – use it! Identify what skills and resources you can dedicate toward the task of conserving sharks and shark habitats. Perhaps you’re good at public speaking or writing letters that compel action in others. Maybe you’re good at organizing fund-raising events or beach clean-ups. Or perhaps you can volunteer a certain number of hours or donate a given amount of money to an existing organization’s marine conservation efforts. Maybe you have contacts in the media or government who can help you get your conservation message out to many thousands of people. If you learn to focus your abilities and use what tactical leverage is available to you, there’s virtually no limit to what you can accomplish. Learn which local organizations share your concerns and can help you accomplish something — anything — toward the goal of shark and/or marine conservation. Once you start looking, it’s amazing how many potential allies you can find. 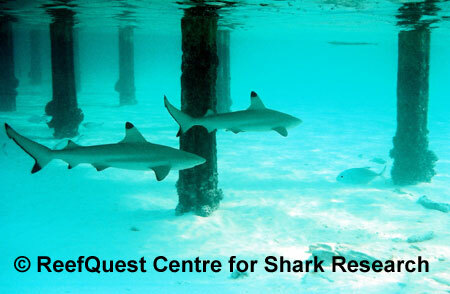 Public aquaria, government departments, environmental groups, dive clubs, angling associations, tourism offices, and many, many others can be a source of ideas, contacts, funding, and manpower which you can turn toward worthwhile shark or marine conservation projects. Take all that you have learned and put it into action — and do it now. Don’t wait for someone else to do it. Odds are a hundred to one they won’t. You have the knowledge. You have the power. What you do with it is entirely up to you. Anything you can do to alleviate threats to sharks and their aquatic habitats will help. If you eat seafood, buy only varieties that are harvested in ecologically sound, sustainable ways. Be mindful of what you pour down your drains. Use whatever means you have to educate others about what they can do and why it matters. Write to relevant departments of your government and tell them what concerns you and what they can do about it. Work with your local government and environmental organizations toward establishing marine protected areas. Whatever you do will affect change. So, get out there and make a difference! Sharks and their habitats can use as much help as they can get.